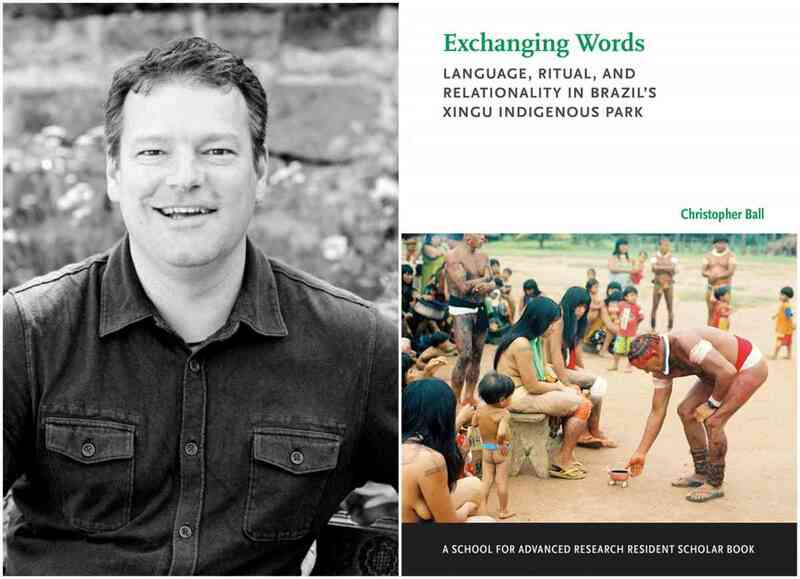 Christopher Ball - "Exchanging Words"
Christopher Ball discusses Exchanging Words: Language, Ritual, and Relationality in Brazil's Xingu Indigenous Park. A Q&A and signing will follow the event. About the Book: Like human groups everywhere, Wauja people construct their identity in relation to others. This book tells the story of the Wauja group from the Xingu Indigenous Park in central Brazil and its relation to powerful new interlocutors. Tracing Wauja interactions with others, Ball depicts expanding scales of social action from the village to the wider field of the park and finally abroad. Throughout, the author analyzes language use in ritual settings to show how Wauja people construct relationships with powerful spirit-monsters, ancestors, and ethnic trading partners. Ball’s use of ritual as an analytic category helps show how Wauja interactions with spirits and Indian neighbors, for example, are connected to interactions with the Brazilian government, international NGOs, and museums in projects of development. Showing ritual as a contributing factor to relationships of development and the politics of indigeneity, Exchanging Words asks how discourse, ritual, and exchange come together to mediate social relations close to home and on a global scale. About the Author: Christopher Ball is Assistant Professor of Anthropology at the University of Notre Dame and currently a Visiting Assistant Professor of Anthropology at the University of Chicago.